Accommodates loading or unloading cargo at facilities where there are no conventional docks and the cargo must be handled from a forklift on the ground level. Increases loading and unloading efficiency while eliminating first-on/last-off process. Provides loading and unloading time efficiency eliminates back to front process. Eliminates the need for tarping which is timely and increases occupational hazard risks. Prevents contamination and protects cargo. 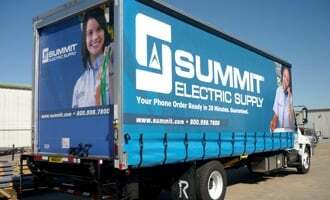 Creates a moving billboard with custom graphic images. Allows for concentrated weight placements as needed. Accommodates unique dimensional requirements to meet odd sized cargo. Removes image-sensitive cargo from view of traveling public such as chemicals, munitions, explosives, and military items. Conceals highly expensive cargo like exotic automobiles. 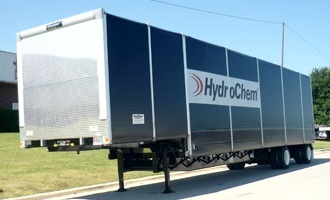 Our unique side access designs have evolved from years of experience in working with our customers and their individual trailer needs. 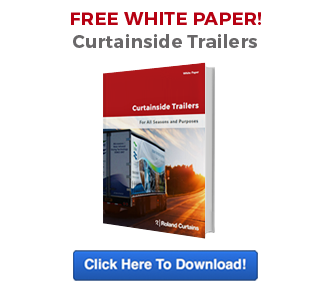 In fact, not only does our custom engineering set Roland apart from other suppliers – it’s our relationship with the trucking and transportation marketplace that results in proven solutions for curtainside and roll-top applications. Depending on your needs, Roland can provide the complete unit, install the upper structure system on your chassis, or provide the upper structure system in a kit form to be assembled and installed by you or your selected service provider.